Simple food is simply the best food. 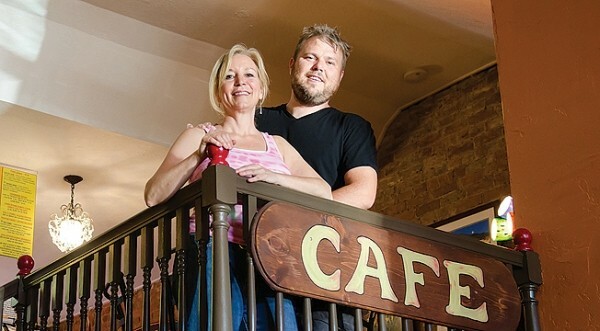 Rustic Ogden restaurant A Good Life Cafe serves standard cafe fare, but the owners—Gloria Bartlett and Gary Greenwood—subscribe to this notion, and offer refined sandwiches, soups and juices made with fresh, preservative-free ingredients. The second-floor spot, with overflow tables downstairs among tapestries and assorted imports, is warm and inviting—the food even more so. Two soups are made fresh daily; the heirloom tomato and peach gazpacho is bright and fragrant. And the fresh mozzarella sandwich is the best sandwich I’ve eaten in Ogden. Greenwood’s creativity flows forth when concocting the daily specials, like off-the-wall varieties of mac & cheese or chilled summer soups. “That’s usually our before-bed conversation,” Bartlett says. “I’ve just got food on the brain—all the time,” Greenwood adds.